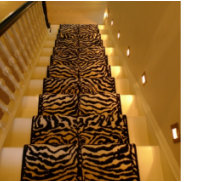 With more than 20 years of experience in customized floor coverings, Underfoot design provides the highest quality craftsmanship, expert consulting, and exceptional service. We specialize in working with interior designers to provide the widest range of floor covering options in the area. 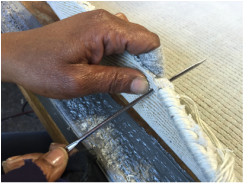 Our experience and expertise includes custom floor coverings, hard woods, carpeting, area rugs, stair runners, in-house hand-serging, rug personalization with logos, and much more. As a family owned business, we take great pride in providing the highest level of service and customer satisfaction in the industry. One of the few locations in the country that offers in-house hand and machine serging with your choice of thread to match.